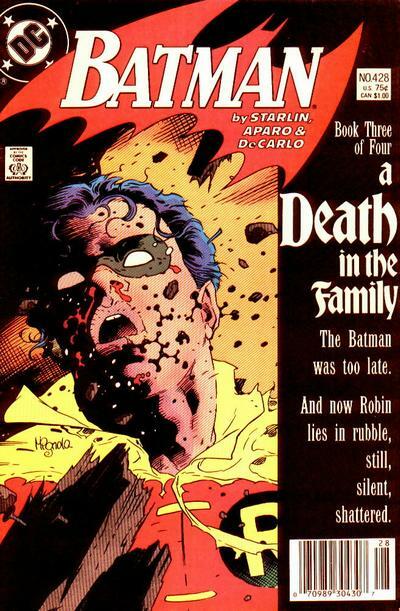 Most Batman fans have read the iconic "A Death In The Family" story line and have this image cover image of Jason Todd meeting his fate burned into their minds. Jason Todd may have not been the most popular Robin since readers voted to have the Joker kill him but with his return in recent years this book has become something of legend in pop culture as people seek out the original issues, especially in wake of the new DC Film universe. That and the covers for the entire four issues are classics.